Interested in what’s trending in education? Here are a few highlights from recent education news. A $236,000 grant awarded to Philadelphia School District by the U.S. Department of Education has allowed the district to create the Counseling and Access for Postsecondary Success (CAPS) Initiative to expand counseling services for students preparing for higher education. 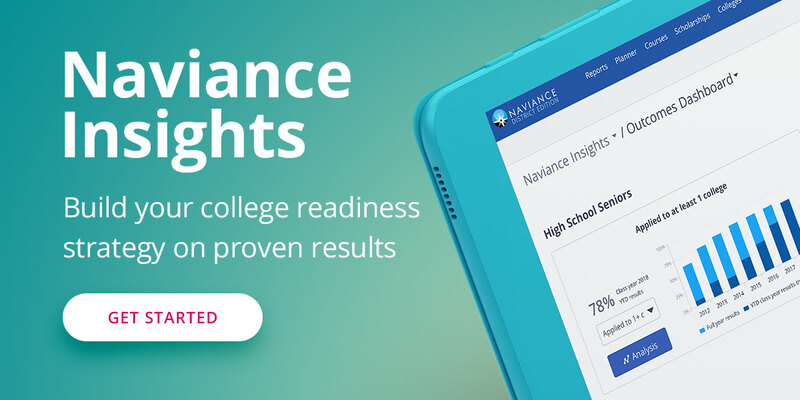 This article, outlining the new program reports that students participating in the CAPS program will be required to take an advisory course using materials designed by Naviance. This article reports on two strategies community colleges have adopted in order to counteract the high attrition and low success rates in remedial community college courses. First, colleges have begun working to improve assessment and placement policies in order to more consistently and accurately identify student proficiency levels and place them in courses that set them up for success. Second, schools have begun to redesign developmental course sequences. Streamlining these courses and aligning them more appropriately with later courses will make them more conducive to student success. Georgia State opened a Financial Management Center this semester to identify students who are at financial risk of dropping out and connect them with financial advisors. The financial-advising efforts are the next phase of the university’s use of predictive analytics to support students. Georgia State is developing an early-warning system what will use analytics to identify red flags in student finances, such as late payments on school bills or not submitting verification documents for federal financial aid. This article discusses recent changes to the Common App which may decrease application anxieties and allow more low-income and first-generation to plan and apply to college. Changes included the addition of instructional videos on how to fill out the sections and allowing juniors to start filling out applications that will roll over into their senior year. These changes allow students who may need more time to get familiar with the process and have questions answer to begin their college planning earlier and with more information. Studies have shown that “girls are often at least 60% of the participants in school-based or community programs focused on test prep, financial aid and the college application process.” In response, some organizations are increasing recruitment efforts for boys, creating all-male discussion groups and hiring more young men to staff programs. In this article Clark outlines the case for taking career development in one’s own hands, rather than expecting their employer or supervisor to lead the way. She offers four recommendations for employees to be more strategic in their career development process: forcing oneself to set aside time to specifically work on career planning, being clear on next steps and professional goals, investing in “deep work” that involves meaningful projects rather than reactive work and, finally, building an external reputation.